It's finally here: the mother of all redshirt reports! All 10 redshirt reports have been condensed into one gigantic article. Please do not print this out, you may run out of paper or ink before it is all done. For the fourth year in a row, FloWrestling will be doing a weight-by-weight breakdown of the best guys who did not wrestle last season. The word "redshirt" is being used as a catch-all term for pretty much every good non-starter from a year ago. This includes actual redshirts, injuries, and a few who just couldn't crack the starting lineup. The only 125 coming off redshirt who has placed at NCAAs, Schram finished eighth as a sophomore in 2016. Schram falls under the "non-traditional" redshirt, as he received a sixth year of eligibility and will be spending it at Lehigh. His season was cut short after sustaining a serious injury at CKLV, going 9-4 overall. In each of the three seasons he has finished, Schram has qualified for the national tournament, going 0-2 as a freshman and 1-2 as a junior. Both of the trips where he did not place featured Schram up at 133lbs. The Stanford transfer will be battling Matty Parker for the starting job. Parker was a three-time Pennsylvania state placer for Pennridge who went 13-2 over the course of his redshirt year. He competed in four tournaments, winning the Princeton, East Stroudsburg, and Wilkes Opens. Both he and Schram have qualifier level potential, but Schram probably has a little bigger upside and more scoring potential for the upcoming season. The rising junior broke his hand before the beginning of last season and didn't wrestle any matches. Carrying a 52-21 record into this year, Laney could make a jump into All-American contention. But it would be a jump, as he has not registered any wins over guys who ended last year ranked in the Top-20. After a year of not competing, Laney's body should be fresh for the 2018-19 season, and he has some very good training partners in the room. He doesn't bonus at a very high rate, approximately 25%, so him coming out firing and putting points on the board would only add fuel to the fire that he is able to make that leap onto the podium. In two years, Laney has victories over 16 separate NCAA qualifiers. With career wins like that, adding a turn to his arsenal could make Laney a fixture in the Top-10 over the winter. Both of the next two guys factored heavily into our lightweight roster battles article from earlier this week. Courtney faced 13 guys that were on D1 rosters last year, picking up three pins, a tech, and a major, and averaging nearly 10 points per match in his six wins by decision. His losses were very reasonable, to #4 Ronnie Bresser and #11 Travis Piotrowski. It's clear that Courtney has improved, as one would expect when in a room with a coaching staff the caliber of ASU's. That much is clear from the tape of him at the U.S. Open and Junior Trials this year. He scored on about a dozen different techniques, but may have less success attacking from space like he does in freestyle. Courtney will have his work cut out for him to beat 2016 AA Ryan Millhof, but it certainly seems way more favorable now than this time a year ago. There will likely be wrestle-offs and an opportunity for them both to compete in a tournament together, so it will be clear if Courtney's speed and dynamic offense can translate into a starting job for the Sun Devils. The junior is looking to finally finish a season and show the college world the kind of talent he displayed in winning Fargo crowns and state titles in Ohio. But he's only wrestled 33 matches in the time he's been in college, so health will once again be the key issue in Assad's success. When his single leg is firing properly, he can take down just about anyone. What remains to be seen is if he can make high level defensive adjustments against the best athletes and turn counters into points. With Michigan coming off a trophy performance, the pressure will be on guys like Assad to come in and score points for the Wolverines, especially if Drew Mattin winds up redshirting. Although he redshirted the 2016-17 season, Schroder found himself behind senior Luke Welch last year. Welch lost in the bloodround, with both losses at NCAAs coming to eventual All-Americans. Now that Welch is gone, Schroder is the Boilermakers' most experienced 125 and clear favorite to start. His most impressive tournament of the year was Midlands, when he placed seventh and picked up a major over Millhof, as well as an 8-1 win over NCAA qualifier Michael McGee, avenging a a 5-1 loss to McGee earlier in the year. He also picked up wins of 8-0 over Ibrahim Bunduka, and 9-8 over Christian Moody, both of whom were qualifiers. Now in his third season on campus, it will be Schroder's job to jumpstart duals and score points in tournaments. With the Big Ten looking at another double digit qualifier total at 125, Schroder could be the baseline representing last in or first out this season. There are many ways in which high school graduates do not compete straight away for their college of choice. For the military academies, the primary way is through their associated prep school (for example, Navy’s is “NAPS” or Naval Academy Preparatory School). This is a boon for their sports teams as their varsity athletes cannot redshirt, similar to the Ivy Leagues. During Flores’ time at Air Force Prep, he won the National Collegiate Open and also had a commendable fifth place finish at 57kg of the Junior U.S. Open. Fleetwood was one of a whole host of guys who left Central Michigan over the past two years. Now in his final year of eligibility, the two-time NCAA qualifier is joining the fray of solid Big 12 lightweights. He'll get a great early season test against Sebastian Rivera of Northwestern, which will literally be the Bison's first competition of the year and will be live on Flo on November 4th. With Fleetwood missing last season due to injury, Paul Bianchi stepped in and qualified for NCAAs as a true freshman. Much like Laney, Fleetwood should look to increase his scoring output and bonus rate in his last year of college wrestling. Some weights will have more names than others, because not every weight is created equal. That is the case at 133, which will be a little shorter than the list we put out for 125lbs. Keep your eyes peeled for more NCAA content this summer in the leadup to what promises to be an excellent 2018-19 season. On to the monsters about to impact the Division 1 landscape this year at 133 pounds. Daton Fix, the kid who wrestles in every tournament he's legally allowed to enter, only competed in one folkstyle event last year. Luckily it was at Reno TOC and we have film of all the matches, because his last relevant folk match prior to that was against Austin Gomez at Who's Number One in October of 2016. His last relevant tournament was Super 32 in 2015, when he lost to Luke Karam and Vito Arujau. Now, we still don't know if we'll see Fix at 125 or 133, but we have him ranked at the latter to start the season. We also don't know how Fix's top game holds up over a four-month D1 season, but it was good enough to beat Ronnie Bresser (who would go on to become an All-American) on riding time. Fix is an excellent scrambler, and there's no reason to believe he can't get takedowns on the likes of Sebastian Rivera, Zeke Moisey, and Sean Russell. The question everyone wants to know though: if he goes 125, can he beat Spencer Lee and Nick Suriano? The last match he had with Suriano he lost, but that was the 45-minute WNO match back in 2015, and he's never faced Lee in folkstyle. Two things we know for sure though: the Cowboys wrestle both Iowa and Rutgers this season in duals. You can’t take much from Gomez’s redshirt season, other than that he is more than capable of teching non-D1 guys. In winning the 61kg Junior world team spot though, he did pick up wins over Sawyer Degen and Trey Chalifoux at the U.S. Open, and then Vito Arujau twice in the Trials finals. All of them have been in college rooms for a year. He took just two losses over the final two years of his high school career, one to Tyler Eischens and one to Joey Silva, and finished out as a three-time Illinois big school state champ. The guys he beat in the finals: Jason Renteria, Tony Madrigal, and Kendall Coleman. Gomez’s pace is going to be an issue for his opponents all year long, and it will be fun to track how often he scores off short offense in the third period. Arujau greyshirted this past season and competed for Finger Lakes WC. Vito did not compete much, winning the Cleveland State Open over Micky Phillippi and losing a goofy finals match in the Bearcat Open to Cam Kelly. In freestyle, he made the JR finals opposite Gomez and then won the U23 spot over Roman Bravo-Young. I’ve long said Vito is underrated because he’s best friends with Yianni. Meanwhile, he’s a Super 32 champ, a Cadet world silver medalist, and has a laundry list of wins over current or soon to be college starters. However, with U23 worlds happening in November, don't be surprised if we don't see Arujau wrestle in any duals until January. 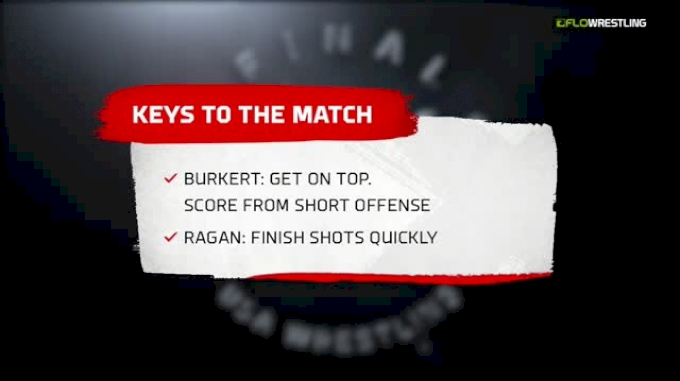 There is also apparently a chance Arujau cuts to 125 and Chaz Tucker remains the starter at 133. After transferring from Virginia, Phillippi sat behind Dom Forys last year. With Forys graduated, Phillippi now assumes the starting spot for the Panthers with four years of eligibility left. It took him a year and a half, but his most recent folkstyle tournament was the best of his career. At Midlands, he picked up wins over Phillip Laux, Ben Thornton, Korbin Myers, and Dylan Duncan en route to a fourth place finish. The #16 recruit from 2016 Big Board, he still has plenty of time left in college to get back on that type of place and end his career with multiple podium finishes. To do that, he'll have to learn to beat the likes of Nick Piccininni and Sean Fausz, the two guys he lost to at U23s that kept him from placing there. An under the radar transfer was that of Harding to UNC to finish out his career. Last year, he beat NCAA qualifiers Corey Keener and Rico Montoya at the Southern Scuffle, and was an NCAA qualifier himself in 2015 and 2016. He backed up Kaid Brock all of last season, and missed 2017 with an injury. He won't put up a lot of bonus point wins, but he'll compete hard and ride you like a dog. Harding being the Tar Heel's 133 also gives Zach Sherman an opportunity to redshirt this season. The question becomes, how much can his 133lb national championship winning coaches in Coleman Scott and Tony Ramos impact Harding's big game in just one season? It was probably difficult for most people to wrap their heads around Courtney as a 141 in college, but now he's back down to the weight most projected him at coming out of high school. One of the most scramble reliant wrestlers from the class of 2017, his counter-heavy style did not translate into a great deal of success right away. He went 21-9, losing to fellow redshirts Jaime Hernandez of North Carolina, teammate Sam Martino, and non-qualifier Denton Spencer of Gardner-Webb, as well as Penn’s Jacob Lizak who was injured at the end of the season. The FloNats champ had a solid but unspectacular redshirt year at Virginia Tech. Now closer to home at Lock Haven, he'll be in a fight for the Bald Eagles' 133 spot with DJ Fehlman. His 14-4 record spanned four tournaments: the Hokie Open (1st), Wolfpack Open (5th), Storm Open (3rd) and Southern Scuffle (DNP). Manley should try to learn from Ronnie Perry, because that's the type of career I'd be looking to take after if I was in Manley's position right now. If anyone had a more long and drawn out recruiting process AFTER high school than Mejia, I'd like to know who they are. The four-time Cali state champ is back home after bouncing between commitments to Iowa and Illinois, never enrolling or wrestling for either school. Depending on how much the Bulldogs coaching staff offered him, he's a potential low risk, high reward guy. His results nationally were never as impressive as the clear reign he had over the Golden State, so it remains to be seen if Mejia was just a very good high school wrestler, or a guy who can make waves on the college level in the right situation. On to a solid but small group of 141lb redshirts, almost all of whom are in battles for the starting spot on their teams. There’s no guarantee Gfeller starts this year, but he will probably be the best backup in the country at either 141 or 149 if that’s the case. For years, Gfeller had an outstanding resume but didn’t have a title at a national-caliber tournament. That changed with the Southern Scuffle, when he won a controversial one with Luke Karam of Lehigh and then pinned Nick Lee of Penn State in the finals. His only losses were to Dean Heil and Kevin Jack (who are both gone), and twice to Jaydin Eierman, so he has an All-American like trajectory. Like Gfeller, Murin will be in a dogfight to start this year, though he should be favored over Vince Turk and Carter Happel. The heavy-handed Murin was considered a good recruit coming out of high school, but not quite as highly regarded as Gfeller; the final 2017 Big Board had Gfeller 15th and Murin as the 44th best prospect. If Murin and Austin DeSanto start for the Hawkeyes, then the first three weights and half the lineup for the Black and Gold will be wrestlers from Pennsylvania. A Murin/Gfeller match the second weekend in January would make for an excellent battle. A bit more under the radar than Murin or Gfeller coming out of high school, Thomas has slowly started showing signs of promise. It took until his junior year to place in Illinois, getting third as a junior 126 and third again as a senior 145 before heading to Evanston. Thomas wrestled the other top two redshirts over the past few months with Murin beating Thomas 4-3 at Midlands, and Thomas beating Gfeller 15-5 at the Junior World Team Trials. Of his six losses, only one came to a non-qualifier, and he had five wins over previous NCAA qualifiers. He starts his redshirt freshman season ranked #20 at this weight. File this one under "non-traditional" redshirt report guy. He appeared in just four duals last year, fewer than the six he wrestled in the 2015-16 season. Morris will either be a depth guy if Tariq Wilson moves up, or the full-time starter in his final year of eligibility. He was 133 for all of last season with the exception of the UNC Pembroke and Pitt duals, and won the Wolfpack, Appalachian, and National Collegiate Opens. The Bobcats have a logjam at 141 and 149 featuring a pair of brothers, the Guillens and the Hagans. Three of the four of them redshirted, and the bigger Hagan had the best year. He went 17-3 with four pins and two techs against DI competition. His three losses were to the above mentioned Courtney, and NCAA qualifiers Tyler Smith and Irving Enriquez. 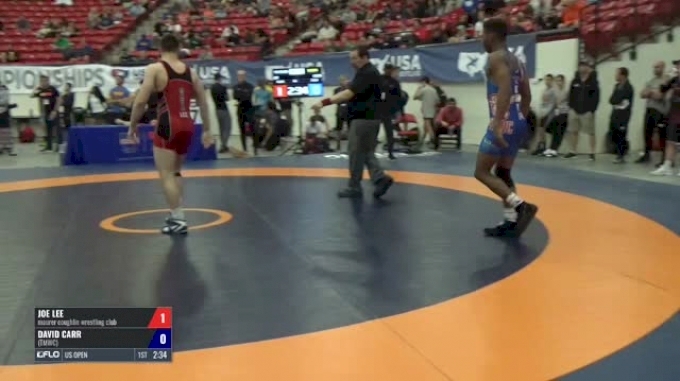 He only wrestled two other qualifiers in Brent Moore and Tejon Anthony, but beat both of them. Hagan may move up to 149 this season though after spending all of last year at 141. Some weights will have more names and more name cache than others, because not every weight is created equal. There is a good crop of guys from the high school class of 2017 coming off redshirt, as well as some guys who had success last year while competing unattached, not to mention a few roster battles. Keep your eyes peeled for more NCAA content this summer in the leadup to what promises to be an excellent 2018-19 season. Without further ado, the 149lb redshirt report of guys to pay attention to this year. The three-time All-American received a sixth year of eligibility after missing all of last season due to injury. The medical redshirt gives the Scarlet Knights two national title contenders and certainly helps their chances of being a Top-10 team this year, right as they are constructing a new wrestling complex. Although Shnaulty has been a 141 for his entire college career, he is 100% going 49 this year, a weight that gets far more interesting with the exodus of Zain Retherford and Brandon Sorensen. Hopefully we get a fully healthy year of Ashnault battles with the likes of Micah Jordan and Matt Kolodzik. With all the action going on in Iowa City this summer, you might have forgotten that the Hawkeyes picked up a 149 last summer. Lugo came out of Florida as the #74 recruit in the Class of 2015, and started right away for Edinboro. He made the Round of 12 as a true freshman, and then was the eight seed his sophomore year. Though he didn’t place either of his first two seasons, he made the CKLV finals and got fourth at the Southern Scuffle as a sophomore, and then pinned Kolodzik en route to a fourth place finish at Midlands last year. This summer, he finished fifth at U23 Trials, with wins over Jaden Enriquez, Steve Bleise, Evan Cheek, Kolodzik, and split matches with Alfred Bannister. At last year’s Junior WTT, he beat three other guys on this list in Austin O’Connor, Brady Berge, and Collin Purinton. It won’t be easy replacing four-time AA Brandon Sorensen, but Lugo has shown flashes of brilliance and has two years of eligibility remaining. The rising junior was part of one of the most intriguing roster battles from last season, ultimately ceding his spot to Jason Tsirtsis, who would go to place in his final NCAA appearance. A 2017 national qualifier himself, Maruca could be Top-10 to start the season and be in the mix to place at the end of the year. The lanky Maruca will be in a battle with Christian Pagdilao for the starting spot this year, and both have some adjustments to make before they can be considered strong likelihoods to finish on the podium. For Maruca, that might mean balancing out his leg attacks and more equally attacking his opponent's right leg. Hopefully we'll see them both in action at some early opens, as both are starter and qualifier level guys coming off years in which they didn't start, but only one will get the nod for Pac-12s. All the kid does is win. O’Connor has never necessarily been flashy or a household name, but has a very strong resume. His redshirt season started off with a bang, beating Troy Heilmann 9-4 in the wrestle-off; Heilmann would go on to get 4th at NCAAs. He went 20-3 last year, with just one odd loss to Gavin Londoff of App State, and then won the Junior Open at 70kg before eventually falling in the Trials finals. O'Connor's greatest quality is incredibly cliche, but also invaluable in collegiate folkstyle: being hard nosed. He bounced back from a loss in pool play to win the gold medal at the Junior Pan Am championships. If you listen to FRL, you’re aware that I am skeptical Berge can make 149 consistently this year for the Nittany Lions. He hasn’t made a weight below 150 since Fargo 2014, but he is slotted to be PSU’s replacement for Zain Retherford while Jason Nolf finishes out his career at 157. 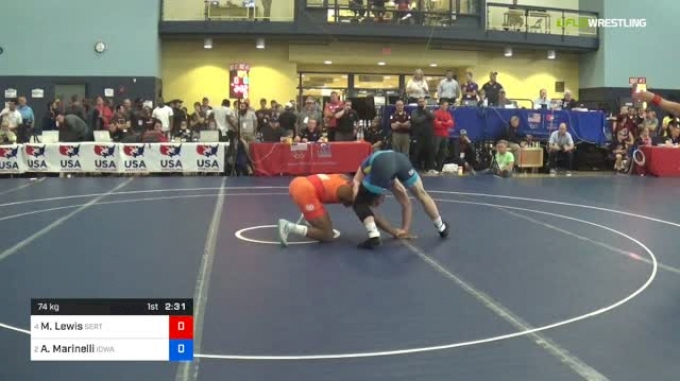 The Junior world teamer only wrestled in one tournament last year, and he was up at 157. It was the Princeton Open, where he took a loss to two-time qualifier Mike D’Angelo. If Berge isn't the starter at 149, it will be Jarod Verkleeren, who is also coming off redshirt. If weight isn't an issue, the 149lb field will quickly find itself in trouble dealing with the Minnesota native's timely and efficient offensive output. He beat O'Connor in a three-match series to become our 70kg representative at Junior Worlds in Slovakia. Although he was a Southern Scuffle finalist, Heil wrestled unattached all of last season after making the big dance in 2017. Campbell has taken control of the Southern Conference and Heil could become a leader for the Camels as he tries to emulate Nathan Kraisser and his brother Dean, now the director of operations in Buies Creek. Heil picked up a pin over the above mentioned Maruca at U23s in June. As a member of the media, I don't actively root for anyone. But given the raw deal Smith and the rest of the Eastern Michigan team got this spring, wouldn't it be nice to see him come in right away and have some success for new head coach Kyle Ruschell? Smith went undefeated during his redshirt season at EMU, and while his strength of schedule wasn't overwhelming, he did pick up wins over 2017 national qualifiers Jamal Morris and Matt Zovistoski. He picked up steam by the end of the year, getting all his bonus wins over other D1 guys at the Edinboro Open in February. Some weights will have more names and more name cache than others, because not every weight is created equal. Here at 157, there are a few former blue chippers who still need to prove themselves. Keep your eyes peeled for more NCAA content this summer in the leadup to what promises to be an excellent 2018-19 season. On to the 157 pounders you'll get to see a whole lot more of this season. Filed under "non-traditional redshirt" is Wick, who began last season as Wisconsin's starter at 149. But an injury at CKLV kept him out for the rest of the year and allowed Cole Martin to be the Badgers' starter at 149. Now up a weight, Wick can make a big impact in the first year of the Bono/Reader/McDonough regime. The sophomore's greatest strength is his confidence and willingness to shoot. The highest-rated 157 from the 2017 Big Board, Coy was just 14-9 last season. One of those wins though was over Quentin Hovis, who Coy beat in the Pittsburgh Wrestling Classic in the final folkstyle match of their high school careers. Half of his wins were by bonus, but the three-time Pennsylvania state champ lost almost as many matches during his redshirt season as he did during his whole career at Penn Trafford. Hovis was right behind Coy on the Big Board, 14th to the Cavalier's 13th. The California native came from Poway, a power program in an area of San Diego that has a strong Naval connection. He had an 18-6 record last season, but in addition to his Coy loss he also fell to Eric Hong, another 2017 high school graduate. How Hovis reacts to being in the starting lineup will be crucial, as some do worse on redshirt years simply because they aren't used to not being part of a team. He'll battle Zach Elvin for the starting spot; Elvin missed all of last season. The #38 recruit from the 2017 Big Board, it will be hard for Van Anrooy to start this season unless Alec Pantaleo can somehow drop down to 149. With Will Lewan also coming in, the Oregon native will have to decide if his future is at 157 or 165 (after Logan Massa graduates). He is emblematic of this 157 redshirt group as a whole, one without a great deal of starpower, but with plenty of opportunity to grow and show they can be successful. There are perhaps some non-starters who had better seasons than Krueger, but no one that I can find did more to help the team last year. Over a span of five duals in January and February, he wrestled 157 once, 174 twice, 184 once, and even 197 (!!!) once. And he won the match at 197 with a first period pin, and nearly got a major at 184. Krueger will replace Big 12 champ and two-time qualifier Archie Colgan in the Cowboys lineup. Some weights will have more names and more name cache than others, because not every weight is created equal. At 165, we have a two-time All-American and a Southern Scuffle finalist, as well as two hammers from the high school graduates of 2017. Keep your eyes peeled for more NCAA content this summer in the leadup to what promises to be an excellent 2018-19 season. On to the 165 pounders you probably wished you could've seen more of last year. One of the most high-profile (and surprising) redshirts of last season, Smith's return to the lineup creates a logjam at the upper middleweights for the Cowboys. The two-time All-American will be going 165, which likely means one of two things: Chandler Rogers is replacing Jacobe Smith at 174, or Rogers and Jacobe are both bumping up, leaving the heavier Smith in a roster battle with Edinboro transfer Dakota Geer. There will be a lot of eyes on Stillwater this year to see how the program bounces back from the second-worst NCAA finish of the John Smith era, and his eldest son Joseph will play a huge part in that. Bullard made it to the national tournament as a true freshman in 2017 and redshirted last season. He went 12-3 competing unattached, but did not beat any NCAA qualifiers. The pressure will be on Bullard for two reasons. First, even though they lose a lot of team points, expectations will be high in Raleigh coming off a team trophy. Second, the only weight the Wolfpack did not qualify for Cleveland was 165, so they will not want a repeat of that in Pittsburgh as they chase another top-four finish. The Big 12 will pick up a little bit at this weight with the return of both Smith and Steiert. Now a junior, the Panther qualified for NCAAs as a freshman and a sophomore. He's very difficult to take down, and has picked up his bonus rate a bit over the course of his career, putting him in position to become a rock in the UNI lineup. His biggest win last season came in the semis of the Southern Scuffle, when he beat eventual NCAA fourth-placer Chance Marsteller. For what it's worth, only two of Steiert's career college losses will be at 165 this season: Joe Smith and Vincenzo Joseph. While not always the case, this year's junior world team is filled with guys who are at the top of the various redshirt reports, and in making the team had to beat several other top contenders coming off redshirts. Lewis was one of last year's most intriguing non-starters, going 28-2 and only losing to Chance Marsteller. He picked up wins over NCAA qualifiers Gordon Wolf, Keilan Torres, Lorenzo de la Riva, and Tommy Bullard. 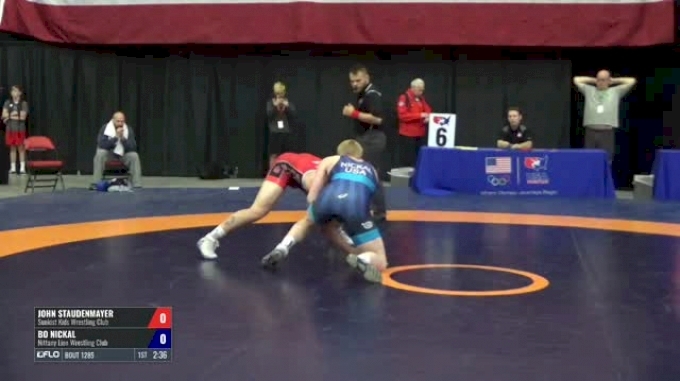 To get to the JR Trials finals, he had to knock off Iowa All-American Alex Marinelli. Injecting Lewis into the lineup at 165 means that David McFadden will be bumping up to 174 for the Hokies. Romero went 10-1 during his redshirt season, losing to Evan DeLong of Clarion at the Cleveland State Open. Romero was the second highest rated prospect from the Buckeyes' 2017 recruiting class, and now takes over at 165 with Te'Shan Campbell bumping up to 174. Romero went to battle with Mikey Labriola in the Pittsburgh Wrestling Classic to close out their high school careers and was one of the best high school football players in Ohio. Instead of a redshirt, Glasgow took a post-graduate year at St. Benedict's. He was 26th on the 2017 Big Board and finished his career making three straight state finals in single class New Jersey. After finishing runner-up as a sophomore, he went 73-2 over his final two years and won two 152lb titles. His only losses came at Powerade, by a point to Trevell Timmons in the 2015 quarters and in the ultimate tiebreaker against Cam Coy in the 2016 finals. Allar was originally committed to Iowa State but switched to the in-state Gophers after the Cyclones made a head coaching change. He didn't wrestle a match last season but was one spot ahead of Glasgow on the 2017 Big Board (25 to 26). 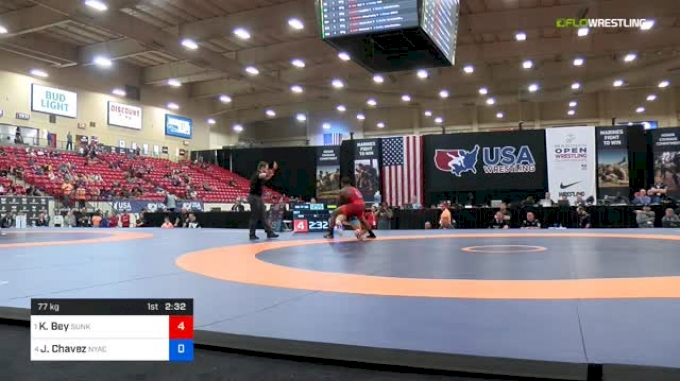 In fact, the last time we saw Allar was Fargo last July, when he defaulted to sixth after nearly teching Tyler Dow in the semis, but Dow eventually stormed back for the win. The coaching staff might need to bring Allar along slowly if he is to be Minnesota's starter. The 2017 NCAA qualifier missed most of last season with an injury. In his stead, Gordon Wolf made it to Cleveland and Ian Brown was the Mountain Hawks' rep at 157. Jordan Kutler seems set at 174, so one of Brown, Walter, or Wolf will be on the bench this year. It was back in November of 2015, but Walter does have an 8-2 win over Brown. He has fallen several times to Steiert, but his best career win to date is over David McFadden at the 2017 Edinboro Open. The Keydet junior was an NCAA qualifier as a true freshman and placed fourth at the National Collegiate Open in February. When he was a starter in 2017, he beat two qualifiers that year. Richard is listed as a 157 on the current roster, so don't be surprised if he drops down a weight for the upcoming season. Some weights will have more names and more name cache than others, because not every weight is created equal. The group at 174lbs is probably the most consistent batch of the weights thus far, and should produce a number of NCAA qualifiers. Keep your eyes peeled for more NCAA content this summer in the leadup to what promises to be an excellent 2018-19 season. Aside from Michael Kemerer coming into the weight, be sure to also give the wrestlers below a hearty welcome to the 174lb field. A kid like Labriola is exactly why these redshirt reports were created. The #5 recruit coming out of high school in 2017, he's done nothing but back up his blue chip persona. He started off his year beating David Kocer in the Daktronics Open finals, and also beat Jacobe Smith in the Bob Smith finals a few weeks later; both Kocer and Smith would place at NCAAs. Although he has always been a folkstyle hammer coming out of powerhouse Bethlehem Catholic, he showed some freestyle chops this spring in making the finals of both the Junior U.S. Open and Junior WTT. A whirlwind on his feet, Labriola's only losses were to Round of 12er Dylan Lydy in the Midlands quarters and then again for third. It seems probable Hughes gets a medical redshirt for last season, when he only competed in one dual for the Spartans. He made the Round of 12 as a true freshman and was #16 the last time he appeared in the rankings. Hughes should once again be ranked to start the season and is one of the better guys from the top position at 174lbs. The California native just picked up a gold medal at the Junior Pan Am championships. Mantanona wrestled in three tournaments last season, going 13-2 with his losses coming to Joseph Smith and Devin Kane, who you will see below. Maybe even including Labriola, I don't know if there is a more talented wrestler in this article, as Mantanona showed Anthony Valencia like levels of athleticism in high school. If he can harness that, the Sooners will be set at 174 for the next four years. The National Collegiate Open champ comes from a family of athletes, with his father playing football for UMass and his mother was a gymnast at Texas Women's University. The Georgia native wrestled extensively in his redshirt year, going 24-10 while competing in seven tournaments. It should be noted that Kane went 86kg for U23 Trials. The Cyclones only had one NCAA qualifier last year, but Coleman was perhaps the most talked about guy on the Iowa State bench, outside of Austin Gomez. He went 24-2, picking up bonus in nearly 2/3 of his wins, only losing to Taylor Lujan. At the Open, he faced two guys on this list, beating Anthony Mantanona 23-13 and losing 10-0 to Travis Stefanik. Coming from the same area as Labriola, Stefanik was a state champ in AAA Pennsylvania as a senior at Nazareth high school. The District XI upstart took a greyshirt year and should be the Tigers' starter this season. He finished fifth at the Junior Open, but went just 1-2 at Junior Trials, losing to Trent Hidlay, who he beat at the Open, and Beau Breske, who will likely sit behind Labriola this season. Along with Labriola, Romero, and Stefanik, Jacob Oliver also wrestled at the 2017 PWC. He was the 36th rated prospect on that year's Big Board, but did take a loss to Bryan McLaughlin of Drexel last season, who was 50 spots lower. Oliver was a four-time state placer at Huntingdon Area and holds the school record for career wins. He won AA state titles as a junior and senior, with the only loss of his senior year coming up a weight to Nino Bonaccorsi, who you'll see in the 182lb redshirt report. Some weights will have more names and more name cache than others, because not every weight is created equal. A strong group of seven appears at 184lbs, headlined by Nick Reenan of NC State, coming off an appearance in Final X this summer at State College. Also featured are a pair of former FloNationals champs in Dylan Wisman and Dakota Geer, who already had starting experience before redshirting, as well as four notables from the high school graduating class of 2017. It was clear when Reenan made the National Prep finals as a 152-pound sophomore in 2014 that he had the frame to get much bigger. Fast forward two years, and he tried to wrestle his whole senior year at 195, despite being about 20lbs underweight. So it made a ton of sense when he spent his true freshman season at NC State wrestling 174, a weight everyone felt was best for him. Except for Nick himself, apparently. He continued to put on weight during his redshirt year, going 21-4, though the final two losses were injury defaults/medical forfeits. But he went on an insane arc from March to June, going from getting teched by Joe Rau at the Bill Farrell, to getting third after losing to Rich Perry at the U.S. Open in April, to winning the World Team Trials challenge tournament in May, avenging both losses along the way. 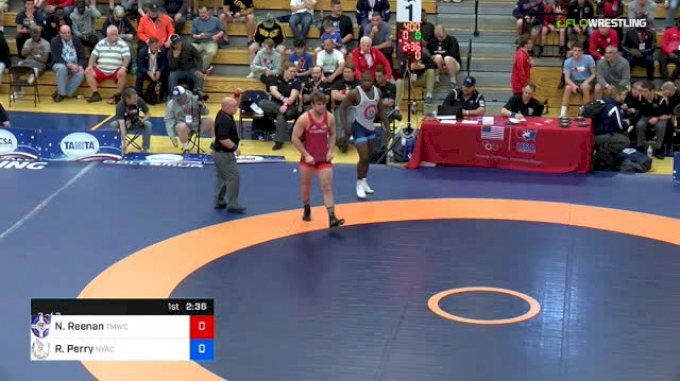 Oh, and he got the first takedown against David Taylor at Final X State College. The best shot Binghamton has had at an All-American since Nick Gwiazdowski in 2012, DePrez is a bona fide stud, finishing #8 on the 2017 Big Board. High school teammates with Yianni Diakomihalis, DePrez won Super 32 in 2016 over Nino Bonaccorsi, an opponent he has wrestled several times over his career and who will appear below. His 28-4 record last year featured a 10-0 win over Dakota Geer in the Edinboro Open finals, and three of his losses came to All-Americans Myles Martin and Max Dean. Despite limited freestyle experience, he'll be our 86kg representative at Junior Worlds in Trnava, Slovakia, in a few weeks. A legacy at Pittsburgh, Nino's older brother Nick was a 197 for the Panthers a few years ago. Bonaccorsi will provide an immediate upgrade at 184, representing a very likely qualifier and he should appear in the rankings sooner than later. Keith Gavin and his staff need that injection of talent too, as three of their four qualifiers from last season have graduated. One thing college wrestling fans will love is his pace; almost no one in this weight range takes as many shots as Bonaccorsi. He went 21-5 on his redshirt year and made the Open finals opposite DePrez. After competing unattached last season, the two-time FloNats champ transferred to Oklahoma State, being joined by former Edinboro teammate Andrew Shomers. The Cowboys starter last year in Keegan Moore is now at Northern Iowa, so Geer will likely now need to contend with Jacobe Smith for the starting spot. He went 30-10 while qualifying for NCAAs as a true freshman, and then 15-4 last year on redshirt. Of those 19 matches, he saw a number of guys on this list, going 1-2 against Bonaccorsi and beating both Jelani Embree and Cameron Caffey. Embree competed just about everywhere in high school, wrestling in Who's #1, winning FloNats and making the finals twice, as well as getting third at Fargo and fourth at Super 32. He's set up to be the Wolverines 184 for the next four years, taking over for 2018 All-American Dom Abounader. A two-time Michigan state champ at Warren Lincoln, he went 15-2 during his redshirt year with losses to Reenan and Geer; he finished third at both the Open and World Team Trials. Now entering his fourth year in Columbia, Wisman will have to beat out several young hammers to be the Tigers starter. As Missouri's starter last year, Canten Marriott was ranked as high as 15th and qualified for NCAAs, while Jacob Raschka went 15-5 on his redshirt year. Wisman was #40 on the 2015 Big Board and Raschka was #69 on the 2017 Big Board, so Brian Smith and his coaching staff have no shortage of proven depth at this weight. The Virginia native started at 174 during the 2016-17 season, but battled injuries and wrestled just six matches after bumping up to 184 last year. Perhaps a surprise appearance on this list after not making the final 2017 Big Board. Coming from the same high school as former Illinois 133lb AA Zane Richards, Caffey went from a state qualifier as a 126lb freshman to undefeated state champ at 182 as a senior. He carried that into last season, going 22-6 as a redshirt and putting himself in position to start over Spartan senior Shwan Shadaia this year. He made the Junior Greco finals at both the Open and Trials, going on to win a Pan Am gold medal a few weeks ago. Some weights will have more names and more name cache than others, because not every weight is created equal. There is an intriguing group at 197lbs; five of them compete for programs that have won team trophies in recent years. Several on the list below are re-entering the starting lineup after being NCAA qualifiers in the past, while a few others were studs from the high school graduating class of 2017. On to the list of 197 pounders you missed from the starting lineup last season. Along with NCAA champion Spencer Lee, Warner was a huge part of why Iowa had the second-best recruiting class in 2017. Now roommates, Lee and Warner are absolutely crucial in Iowa's attempt to knock off Penn State over the next several seasons. A 15-4 record during his redshirt season included wins over four-time NCAA qualifier Jake Smith and three-time All-American Willie Miklus. His freestyle credentials are sterling, alternating Fargo titles as a Cadet in 2015 and Junior in 2017 with world teams. Warner was a bronze medalist at Cadet worlds in 2016 and in about a week will try to become the 92kg Junior world champion in Trnava, Slovakia. The Illinois native is very much in the hunt to finish on the podium this coming March in Pittsburgh at the national tournament. Iowa's last All-American at 197 was Nathan Burak's fourth-place finish in 2016. 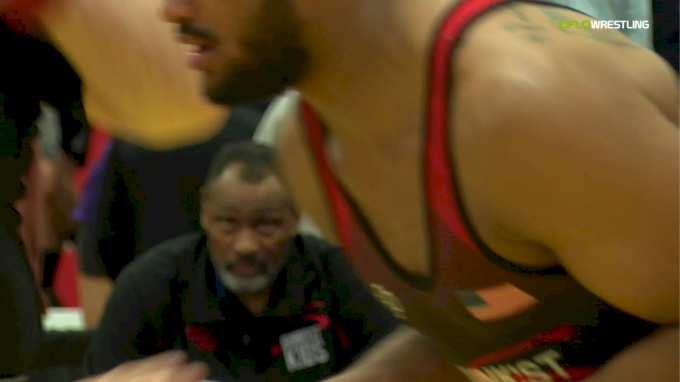 The Hokies picked up the three-time qualifier from Bucknell in the spring, which is why John Borst does not appear in this article, along with the fact that Borst is supposedly going heavyweight this season. Sleigh will have big shoes to fill in replacing three-time AA and NCAA finalist Jared Haught. A former 184, the senior is nearing 100 wins for his career. McDonald is coming back down from heavyweight last season, where he won the National Collegiate Open. He'll be big for the weight, as he wrestled 97kg/213lbs at U23 Trials, where he got fourth. An NCAA qualifier in 2017, it will be difficult for him to match the performance of last year's starter in Mike Macchiavello, the national champion. The Wolfpack lost over half of their points from Cleveland, when they won the first team trophy in program history, and it will be up to the likes of McDonald to step up their performance this coming year. Woodley was the second highest rated 197 on the 2017 Big Board, finishing #18 to the #8 final ranking that Warner received. The two have met several times in both folkstyle and freestyle, splitting last year at open tournaments while both were redshirting. A two-time Pennsylvania state champ, Woodley posted a 15-3 record last season. He'll face stiff competition within his own conference, as he'll see three AAs between Miklus, Preston Weigel, and Jacob Holschlag. Coming from 184, Raschka went 15-6 during his redshirt year. He'll battle Wyatt Koelling for the starting spot, who was the Tigers' MAC representative at heavyweight last season. A former Fargo Cadet national champ, he also won two Wisconsin state titles and placed at FloNationals while in high school. The junior missed the last two and a half months of the season after getting injured at the Virginia Duals. He was 9-6 at that point at 197, after moving up from 184 where he qualified for NCAAs as a true freshman. His big win last season came over Anthony Cassar of Penn State in a dual in November. Some weights will have more names and more name cache than others, because not every weight is created equal. At heavyweight, the Big 12 is well represented, with a number of new faces taking over in the conference. There is one senior in Joey Goodhart, as well as junior Austin Myers, and sophomore Gannon Gremel. The rest of the list you see below all graduated high school in 2017. After three season in the starting lineup, Goodhart went 10-3 during his redshirt year. He has career wins over the likes of Youssef Hemida, Nathan Butler, and Conan Jennings, as well as Chase Singletary from this list. Goodhart is a two-time NCAA qualifier who made the EIWA finals back in 2017. The Florida native attended powerhouse Blair Academy for his final three years of high school. From there, he committed to the Buckeyes at the start of his senior year, where the plan was always for him to bulk up, redshirt, and take over at heavyweight after Kyle Snyder graduated. Nearly half of his 21 wins last season were bonus point victories, and the Buckeyes will clearly need production like that to continue as they add three new faces to the lineup after graduating 12 All-American honors between Snyder, Nathan Tomasello, and Bo Jordan. Myers did not compete in the second semester, with his season ending after the Reno Tournament of Champions. The 2017 NCAA qualifier has two seasons of eligibility left and is looking to establish some consistency as he enters the latter half of his college career. A pair of Jakes will start at the end of the Sooners lineup, with Jake Woodley taking over at 197. Boyd was at that weight last year, but has bulked up to heavyweight for the 2018-19 season. He was 13-1 as a redshirt, including a 3-0 win over his teammate Woodley. One of several from the Big 12 on this list, Tate is the younger brother of Utah Valley's 197 pounder Tanner Orndorff. The Washington native was 15-6 as a redshirt, picking up wins over AJ Nevills, Malik McDonald, and Andrew Gunning. He made the senior national team in Greco-Roman this year at 130kg. With Tom Sleigh and Billy Miller transferring in for their senior years, the Hokies' plan is to bulk Borst up to heavyweight and have him start the first half of the season while Miller recovers from injury. Borst was a 197 last season, but Tech brought in recruit Cody Howard at that weight and 285 pounder Andrew Dunn is no longer on the roster, hence the audible about Borst's place in the lineup. Now the only heavyweight on the Cyclones' roster, Gremmel has three years to prove his mettle in Ames. A former Fargo champ, he won the U.S. Open at 125kg, earning him a spot in the Junior World Team Trials finals. Though he did not place at Midlands, the Iowa native went 19-7 last season. Hillger finished high school #21 on the senior Big Board, the second rated heavyweight from the Class of 2017 behind Singletary. The new Wisconsin coaches have high hopes for their young heavyweight, with positive reports coming out of Madison about Hillger's progress this offseason. In the spring, he finished third at both the U.S. Open and Junior WTT at 125kg. The three-time North Dakota state champ takes over as the Bison's starter after a 16-4 record as a redshirt. Most of his previous exposure on the national level was in freestyle and Greco, so we were finally able to get some folkstyle data on him. He made the Open finals opposite Gremmel, and was third in Greco, so Metz should be able to grow into a point scorer at NCAAs as the older heavyweights start to graduate.